30 years later, the Air Jordan 3 OG Black Cement returned and creative director, John Melchico-Bronx kitted out the fam’ in the all-time icon. Racking up the likes on instagram, his Jordan post has the legendary sneak and the cute-factor – showing that infants’ have sneak game too. Lucky enough to be one of the first to cop, influencer and stylist, Kitty Cowell showed off her new kicks on insta – Nike’s new silo, the Air Max 270. 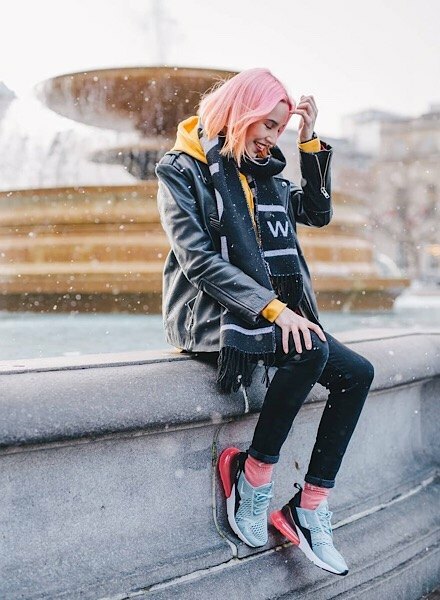 In an ocean bliss colourway with a statement, red Air unit, Kitty’s styled up her sneaks with some skinny jeans and a hoodie – the perfect combo for next-level comfort. Check out all of the women’s colourways right here. As if you needed any more reasons to pick up some comfies from Juicy by Juicy Couture’s new collection, seeing this tracksuit on influencer and model Jess Hunt might just persuade you…Pairing the cropped hoodie and fleece pants with next-level highlight game, Jess couldn’t be any more goals. Wanna’ steal her ‘fit? This week, new menswear brand ALIGN hit JD, bringing with it fresh threads that combine sports performance tech and street-ready design. 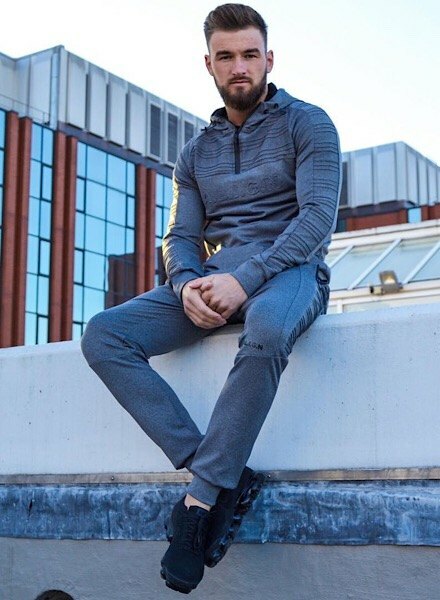 London-based influencer, Sam Marvin was quick to show insta his new gear, showcasing their matching, grey Spitfire tracksuit. Wanna’ cop his look? Throwing it back to the ‘90s, Sayan Yildiz cements the fact that popper pants are THE pants you need to be reppin’ this season. Teaming a bold, navy and red pair with a matching, Supply & Demand cropped hoodie, Sayan couldn’t be more insta-ready. Wanna’ show off your new gear? Show us your insta-style with #MeInJD.